There are countless Bluetooth speakers out there for every type of lifestyle and budget. The choices can be overwhelming, and are likely to cause decision paralysis. How much portability, audio power and smart tech do you need, and what tradeoffs are you willing to make for your budget? We found our heads spinning when evaluating the marketplace, and did the hard work to make your choices easy for you. We've narrowed down the Bluetooth speaker market to our top 4 choices. These are the four best Bluetooth speakers we found for overall performance, best value, high-end audio, and home speaker crossover, and they'll have your ears buzzing in no time. Ever notice that all Bluetooth speakers tend to look the same? They're usually a combination of boring black plastic and metal mesh. 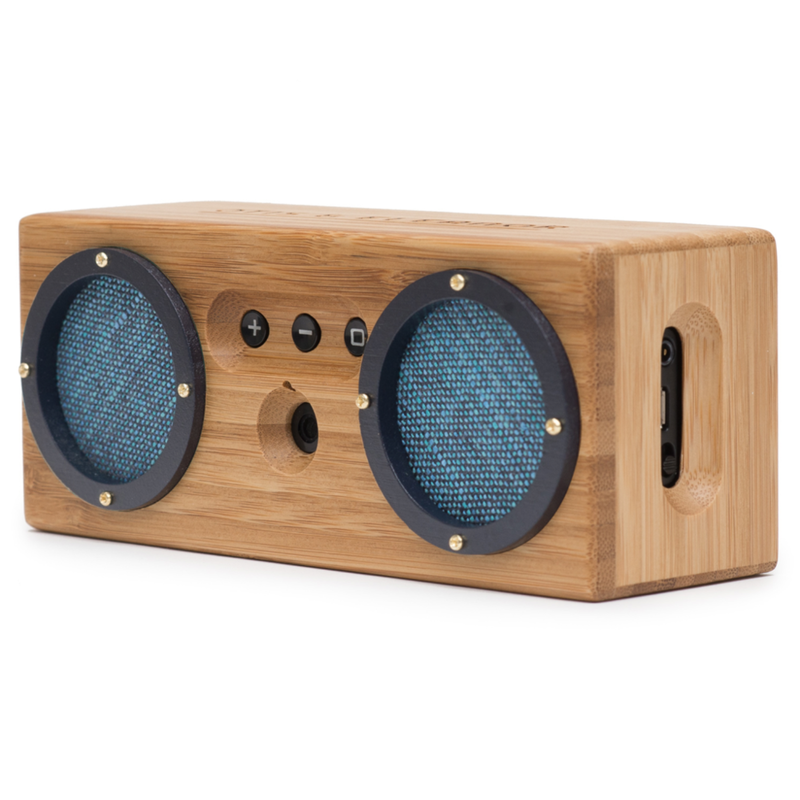 We love the Bongo Bluetooth Wood Spekaer because it bucks this trend by combining modern tech with classic design, AND comes in at a budget price over 50% cheaper than any other speaker on our list. Bongo is encased in 100% natural bamboo, which creates a powerful, resonant audio casing - but is also one of the most sustainable materials on the planet. The speaker packs a crisp audio punch for a small portable model, featuring two rear 1.75-inch isolated passive bass radiators and a pair of 1.5-inch powered "rare earth" drivers. The speaker covers feature vintage linen cloth that give the Bongo a colorful vibe. The rechargeable battery is reliable for up to 15 hours per charge. That's a lot of battery for a very small package -- Bongo is only 6.5 x 2 x 3 inches and a lightweight 1.4 pounds -- making it perfect for travel of any kind. 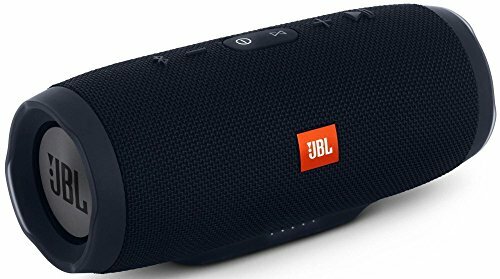 The JBL Charge 3 is our best choice for most people in the mid-range bluetooth speaker market due to its powerful sound and versatile features at a very reasonable mid-level price. The JBL is a portable mid-size speaker with the battery power and audio clarity to easily power a small party or beach picnic. It boasts 20 hours of battery life via its Lithium-ion battery, but comes in at just 9.1 x 3.4 x 3.5 inches and 1.8 pounds for all that power. Two 1.75 inch drivers and passive radiators offer a vibrant bass most bluetooth speakers have trouble matching. We love the diverse feature set: the JBL 3 is rated IPX7 waterproof, which means it can be submerged in a meter water for half an hour without dying, more than enough for a surprise rainstorm. Three phones can connect to it at any time, to trade off playlist control or turn it into a speakerphone. Our favorite feature is that JBL allows you to connect multiple JBL 3's together to create a speaker network with your friends to double or triple your audio. Audiophiles everywhere know that paying more for Bose's legendary sound quality may be expensive, but never a decision you'll regret. 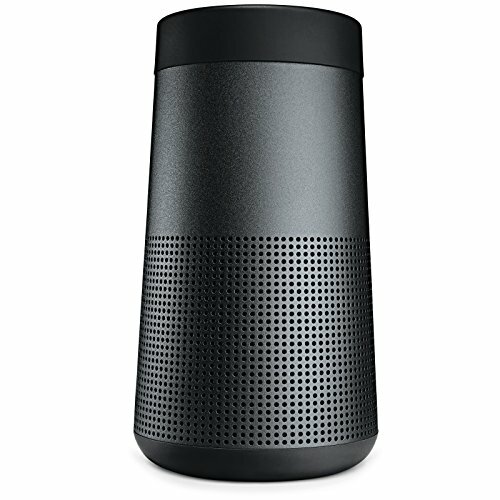 The Bose Soundlink Resolve+ is unique because it truly plays 360-degree sound. Most speakers only have front or front and back drivers, and therefore cover a max of 180 degrees. The Bose is circular and provides even coverage to bathe any space in warm, deep, loud audio. It's simple to use and totally portable, with 6 buttons allowing total music control and an intuitive carrying handle. It has 16 hours of battery power from a durable Lithium-ion battery that won't lose much life over time. We love that it can pair via your phone or a voice prompt, and that it integrates with Siri and Google Now. It's crystal clear speakerphone can replace any home office speaker needs, and like the JBL 3 you can pair it together with additional Bose speakers to create a portable audio network. Marshall's Kilburn model is the largest portable bluetooth speaker on our list, making it a perfect home audio crossover that can also go to your roof deck or backyard. The Kilburn's sound is resonant and incredibly loud and clear. 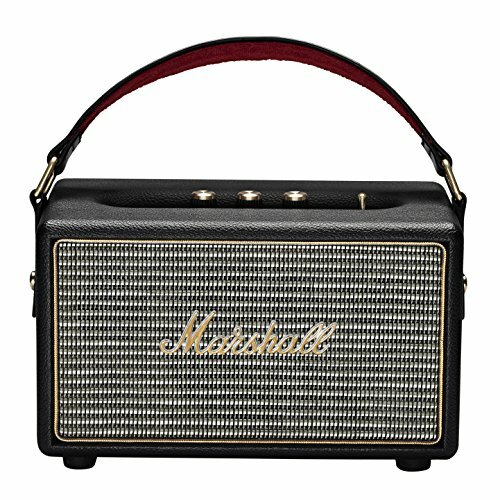 It rocks hard to match Marshall's famous speaker legacy, with dual 3/4-inch dome tweeters and a four-inch woofer. Its vintage design looks beautiful on a bedroom or living room side table, a welcome alternative to the plastic mesh models turned out by most modern speaker brands. It can sit in your home without any cords, boasting 20 hours of battery life per charge, and at 7 pounds is still light enough to take outdoors or toss in your car for a road trip. We're huge fans of its old-school analog touches, including tactile knobs to allow audiophiles to physically tune their sound.